Ahhh Belize. There sure is a lot to do in this one of the smallest countries in Central America. From diving flourishing reefs and the iconic Blue Hole to exploring ancient Mayan ruins and trekking through the jungle, there is something for everyone. This laid back country is a scuba diver’s dream. Unlike most of central America, the official language is English, with the locals speaking a mixture of French creole and English. There are multiple courses of action you can take upon touching down in Belize city, but we recommend getting out of there asap. Belize city is notorious for it’s high crime rate, and while most tourists should be safe, most of the adventure lies in the keys or inland. While reports of violent crime are the first thing you will read about Belize, it really only applies to the capital city. Our team had no problems at all during our stay. With a little common sense it is a fantastic country to visit for anyone regardless of travel experience. 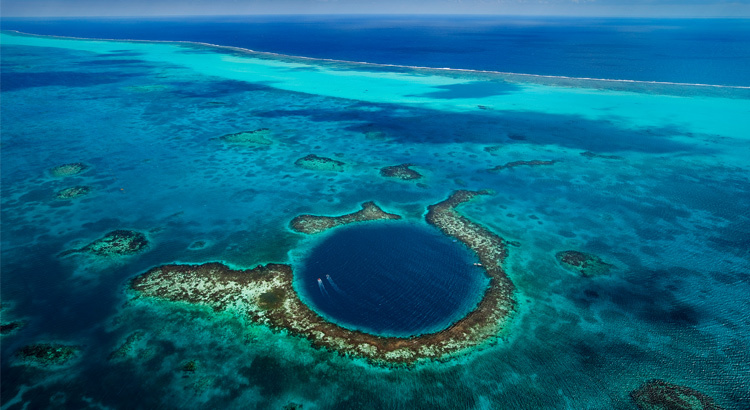 So…how was the scuba diving in Belize? Put simply, AMAZING. The reefs are full of life and the visibility is fantastic, usually over 60-80 ft but can be easily over 100 ft +. There are many atolls that dot the coast and if you are travelling to Belize specifically to dive, then you will mostly likely be staying on one or 2 of the most noted cayes. Caye Caulker is a charming little Rasta island a quick 40 minute water taxi from the mainland. It’s so small there are actually no cars on the island, just sandy streets with golf carts zipping by. Everything is within walking distance and most dive sites are only 20 minutes boat ride away. A VERY laid back vibe covers the island and while you won’t find too much in terms of crazy nightlife there are a couple bumpin’ spots such as the infamous I on I Regge Bar for those travelers looking to get wild after a day of diving. The food is excellent in every spot our team tried out and cheap, with most meals running around $10-12 USD per person and a cold beer about $2-3. The island is inhabited by locals and a bunch of backpackers, so making friends is pretty much guaranteed. This was our favorite spot during the trip, and coincidentally where we got a chance to try out the best scuba mask of 2015. The other major destination of note for Divers is San Pedro on Ambergris Caye, a 20 minute water taxi ride from Caye Caulker or about an hour from the mainland direct. Here the dive sites are even closer, many a 5-10 minute boat ride. San Pedro itself is a busier version of Caye Caulker, several cars can be found in the main town, but still most locals rely on their trusty golf carts. lots of small local bars and several beach front night clubs round out the nightlife. There are an incredible amount of dive shops that all seem to be competing for business which means the price of a 2 tank dive was extremely reasonable. 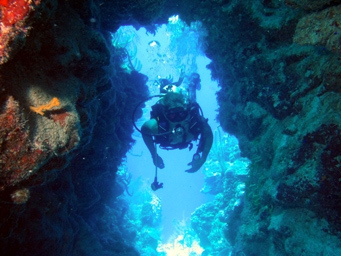 Several dive sites we would recommend you request would be Tackle Box and Esmeralda. Tackle box has several very cool swim-throughs loaded with Jacks, and Esmeralda was swarming with Nurse sharks and several Grey Reef sharks. After 10+ dives in the area we realized scuba diving in Belize would be hard to beat for our next trip! Other major notable dive sites, Lighthouse Reef, Turneffe Islands and Glover’s Reef – lie 30 to 60 miles off the mainland, beyond the immense barrier reef. They offer fish and dense walls of coral that disappear 3,000 feet below. Ranked among Belize’s best wall dives, Turneffe elbows’ southern tip is a busy intersection of currents and big fish; you’ll see schools of jacks, permit and barrel sponges. The walls at Lighthouse Reef’s Half Moon Caye are shot through with innumerable tunnels and swim-throughs and packed with huge barrel and tube sponges, yellowtail snappers, eagle rays and garden eels. So regardless of where you choose you shouldn’t be disappointed. When scuba diving in Belize, wall dives tend do be deeper, so bringing your own personal dive computer is recommended. If you are lucky to visit Belize any time between March and June, be sure to head south to Placencia. This is prime Whale shark territory. They come to feed on fish spawning and your chances of seeing one are high if the sea conditions are right. Most dive operators will offer both scuba diving and snorkeling with the gentle giants. Overall it’s easy to see why anyone who has been scuba diving in Belize will heartily recommend it! Being dwarfed by the biggest fish in the sea…an amazing feeling. Finally, the famous Blue Hole. How is it? The general consensus seems to be…underwhelming. While it is considered a must dive for any scuba diver visiting Belize, most people we talked to were disappointed in the experience, especially after a 2+ hour boat ride on bumpy seas. It is a cool sensation descending into nothingness but there is not much wildlife to see and we enjoyed our other dives while scuba diving in Belize much more. 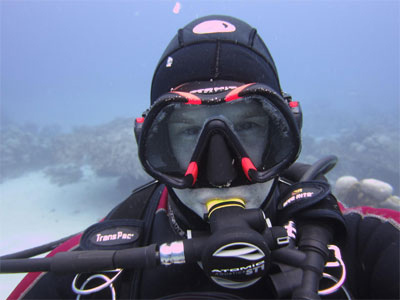 Although like the wall dives it is a good idea to bring a personal dive computer to add some extra confidence as the dives there tend to be deep and for advanced divers. Weather: Subtropical climate, which means warm year-round, especially on the coast. luckily, a brisk prevailing wind from the Caribbean sea moderates hot summer temps on the Cayes and Atolls. Expect summer Mid 80’s to low 70’s in summer. Winter is a bit cooler, with highs in the low 80s and lows in the high 60s. Average Water Temp: High 70s in winter to mid-80s in summer, you only need a 3mm wetsuit or even just a rash guard/skin suit. Average Visibility: On the barrier reef and atolls, vis is usually ~70 ft but can clear up to 100 feet or more, but a bit less inside the reef. Entry Documents: A passport is required, plus a return or ongoing ticket. Food: Delicious mix of fresh seafood and local creole dishes. Not to be missed! Oceanic Dive Computers: Are they worth it? Whats the hype with Oceanic dive computers?! On several of our last scuba diving trips we noticed quite a few of our fellow divers were sporting Oceanic dive computers. They tend to be eye catching but pricey and this sparked a bit of a debate among the team if the recent boom in popularity was warranted. Given the fact most of our crew sports whatever personal dive computer they own and we have no particular brand sponsorship, we figured you might be interested in sharing in the debate. Everyone we encountered swore by theirs and said they were very happy with the brand. Having had a chance to get hands on with some oceanic dive computers ourselves, we gathered the opinions on the most popular oceanic dive computers from some of our team members, who range from casual scuba divers to professional Dive-Masters. Let’s crack into it! The Oceanic OC1 dive computer looks slick. There is no denying that. And for such a hefty price tag it damn well better look good as a daily watch! Luckily it comes with many more functions than just your average wristwatch. Packed with all the expected bells and whistles this is definitely a top of the line piece of scuba gear. Wireless air integration? Check up to 3 different transmitters, so you can monitor your buddies air with the press of a button. Digital compass? Of course, another handy feature , especially for anyone doing search and rescue or leading groups as a Dive-Master. This is the top tier of all the current Oceanic dive computers, and we asked our team if they would drop the cash on one vs their current setup or compared to the other oceanic dive computers on offer. Jess: For me it’s hard to justify such and expensive dive computer, it would be the price of most of my other scuba gear combined. I would much rather spend half the money on a great mid range computer and also get a new mask, fins and probably even a new GoPro for that price. It looks very cool and I would happily wear it if I was get one as a gift…but for me it’s a no go. I am really happy with my current Oceanic Geo 2 though so I would consider myself a brand fan-girl. Dan: This is the computer I use almost daily, so yes I would recommend it :). Working as a Dive-Master, I make my living from diving, so I decided to splurge a bit to celebrate when I finished my DM certification. Been using the OC1 for a couple years now and love it. Still have my old Cressi Leonardo, I rarely use it anymore except for a secondary/backup or to lend to other divers, my OC1 never leaves my wrist though. I haven’t used any other oceanic dive computers though, so I’m not too sure how it compares. As a side note, shop around online, you can find it way cheaper on places like Amazon, I got mine for around 900 bucks. 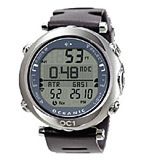 Tim: I actually got to borrow my instructors Oceanic OC1 back when I was doing my Advanced open water certification. Under the pain of death (well $1500) should I lose it of course. It was only the second time I had ever used a dive computer, and I didn’t swap over the transmitter to my tank, so I was only able to see the instructors PSI levels, but that alone was pretty cool. I can see it being nice just looking at your computer and seeing all your info, I hate fumbling for my pressure gauge mid dive whenever the DM asks for an update. Reminded me of something James Bond would use when I realized all the stuff it could do, not that it really matters at my level. If I had the cash, yea I would probably spring for it and treat it like my baby, but I am too broke right now. Might do like Dan and pick one up if I go for my Divemaster certification. Or maybe one of the other mid range Oceanic dive computers, or a Suunto(heard good things). Keith: Heard good things about it, and it looks flash. If I was diving more often I might consider picking one up, the air integration would be nice. Can’t justify upgrading from my Mares matrix at the moment though. In general I like the look of oceanic dive computers, and they seem pretty solid. A very cool, top end dive computer. One of those things that’s nice to have if you have the budget for top shelf gear. And yes, it does look/function amazing. When it comes to Oceanic dive computers, this is like the teenage brother to the OC1. It packs almost all the same features minus the wireless air features. You still get a great digital compass and Air/Nitrox modes, with 3 programmable gas mixes you can switch between underwater. A bit more of a sporty design, bu still small enough to look great as a wrist watch. The OCS falls directly in the mid range of the oceanic dive computers and unless you absolutely need wireless air integration this is the way to go. What’s our opinions on this model? Jess: This is more my price range if I am looking to upgrade from my current computer. Like I said about the OC1, They look and perform awesome but this one is half the price! I’m not too picky about wireless air integration when I can just check my pressure gauge. I do go diving a few times a month so it’s easier to budget for a mid-high end computer like this than a $1500 computer. I would much rather have this and splurge on a new underwater camera/GoPro and still come in under $1000. I really like the look of Oceanic dive computers so for me this is something I would consider when I am going to upgrade. Mike: I like the OCS, someone had one on one of my last trip to Curacao and they seemed to be super happy with it. I am super cheap when it comes to getting new gear though, so I would probably go for the Geo 2 or find a used Mares Matrix instead to save some cash. Oceanic dive computers always seem a little overpriced to me, but I have heard they last pretty much forever and can take a beating, so maybe it could be looked at as more of a long term investment. Then again I am still using an old Mares Puck as my dive computer. Dan: I nearly went for the OCS when I was researching computers to buy after I became a Dive-Master. In the end I liked the idea of the air integration on the OC1, but I very nearly went for this one to save a bit of cash. The reviews from people on Amazon seemed good and all the research on the web I did about it had me convinced. I got my tax return at the same time and splurged on the OC1 instead. Seems like a great little computer though for the mid-high end class of dive computers. A nice balance of price and functionality.For more serious divers looking for a mid-high end computer, and those who dive often. At half the price of the OC1 this was the majority of our teams preferred choice. This seems to be the most common of all the Oceanic dive computers we have come across during our various scuba diving excursions around the globe. A very competent, full featured dive computer, much like the OCS but minus the compass. It is also one of the more affordable oceanic dive computers for the average scuba diver. Being able to have the option to dive with Air/Nitrox is great, as well as the Free Diving mode , watch and gauge mode. We would classify this as a high end beginner dive computer or great mid range diver computer for scuba enthusiasts. You can see what we thought of it in our full review HERE. 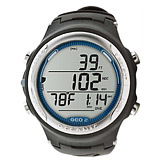 This is one of the best selling oceanic dive computers on the market. Is it worth it? Keith: Compared to other computers in its class, this one looks a lot slicker. I am not a fan of the large hockey puck style designs and this one is compact but useable. I got a chance to try it out during our review and I dig it. Well worth the price for what it offers. Tim: I am looking to get new dive computer in the near future and am strongly considering this one. While it would be awesome to go full baller and get the OC1, this or the OCS is a bit more down to earth and within a feasible budget for new dive gear. Oceanic dive computers tend to look the most professional in comparison to other brands, which can look a bit more toy like so in terms of looks and function I am on board with the brand after hearing so much praise. Some Suunto’s look hot as well, but they usually tend to be the larger hockey puck style design. I want something streamlined. After trying Jess’s out I am pretty sure this is what I will be going for. Nice balance of functionality and design for the price and should fit my needs until I becoming a divemaster/instructor. Mike: For me this falls in between the price range of an entry level computer like the one I have, and the higher end market. I feel I would get this and then want something more advanced a couple years down the road. Out of all the Oceanic dive computers on this list I would probably go for the OCS, its high end and not too much more in terms of price if you find it cheap online. A no go from me on this one but I can see the appeal for casual divers who want all the major feature set of a mid range computer. Like we said in our hands on review, this is a fantastic compact little dive computer. Fully featured with rock solid performance. 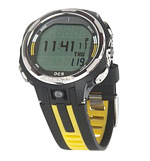 Extremely popular among dive enthusiasts at a price point that is pretty agreeable to most. Great for anyone looking for a mid range dive computer or beginners looking to invest in their gear long term. we also recently added a review of the new Oceanic Atom 3.1 dive computer. Recently I had taken to the advice given to me by a close friend when it came to buying snowboarding equipment. “Don’t skimp man, otherwise you are going to have to re-buy gear in a year or two.” Lo and behold, the $100 snowboard boots I grabbed on discount broke within one season and were frustrating to deal with for the last few weeks of season. I can guarantee next time I buy some boots I am going for the brand and style I can splurge for vs the cheap end of season leftovers. With this in mind I wanted to find the best scuba mask I could possibly invest in. Cut to 2 weeks later. I rolled back into the azure waters of a local Belize reef and began my descent. The visibility was great and again I was stunned by the wide field of view this mask offered, not quite a panoramic, but also there was no annoying lens seam I had become accustomed to over the last couple years on my old mask. Also the large teardrop shaped glass lets you see clearly below you without having to move your head. The lens on this mask is HUGE and crystal clear. It’s not going to give you x-ray vision of course but it is one of the best lenses I had encountered so far. I realized I had the mask a bit too tight and quickly eased out the tension on the strap with the large chunky buttons on the clasps. I don’t understand why all scuba masks don’t have this feature, it’s a no brainer. Throughout my dive along the reef I was waiting for the usual leak around my beard/mustache. By the time I ascended from my first dive I was thinking it was a fluke. I was amazed to find over the course of a week, my mask leaked maybe 3x during 12 dives. The skirt on this mask is soft, but not too soft that if lets water slip in for anyone with facial hair. It also didn’t hurt the underside of my nose like so many masks I had tried before. I was instantly happy for my purchase based on that fact alone. The only thing I wish was it came with a neoprene mask strap, but I have a couple of those kicking around anyways. Over a week of diving later and I was SO happy with laying down the extra cash for my new mask. I even let the other members of the team try it out on a few dives (begrudgingly) and they agreed it was pretty much the Rolls Royce of all our masks, hence why we are naming it the best scuba mask of 2015. There are a few choice pieces of scuba gear I would recommend investing in: Your Fins, Dive Computer….and above all your mask. The whole point of exploring under water is to see amazing sights and I would happily spend another $200 to ensure that on all my dives. No one likes a foggy, leaky, frustrating mask. I’m sure this scuba mask will accompany me around the world on many dives for a many years to come. Especially seeing as it comes with a lifetime warranty. 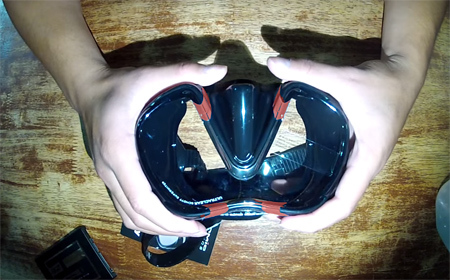 ScubaPro Synergy Truefit Dive Mask– Another amazing dive mask but the Field of view wasn’t quite the same. The fit and Seal was phenomenal though.